COR-TEN A applies to plates up to 12.5mm in thickness, COR-TEN B applies to plates up to 50mm in thickness. The values given in the following tables for the mechanical properties are pertinent to the state of delivery condition. 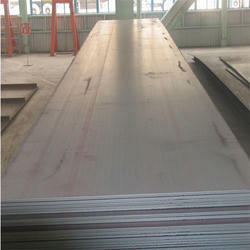 Corten Steel Grade A588 is widely used at construction sites to reinforce building structures. JB Steel is one of the India's Leading Stockholder & Distributors of Corten Steels.